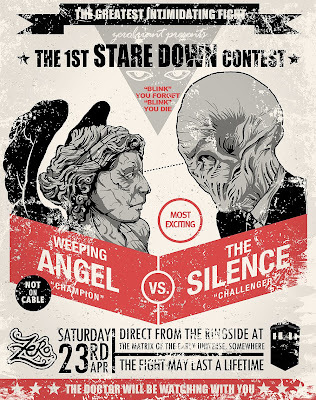 The Stare Down Contest also known as “You’ll Miss Me if You Blink Twice”! Now this is possibly the coolest t-shirt design for a while. 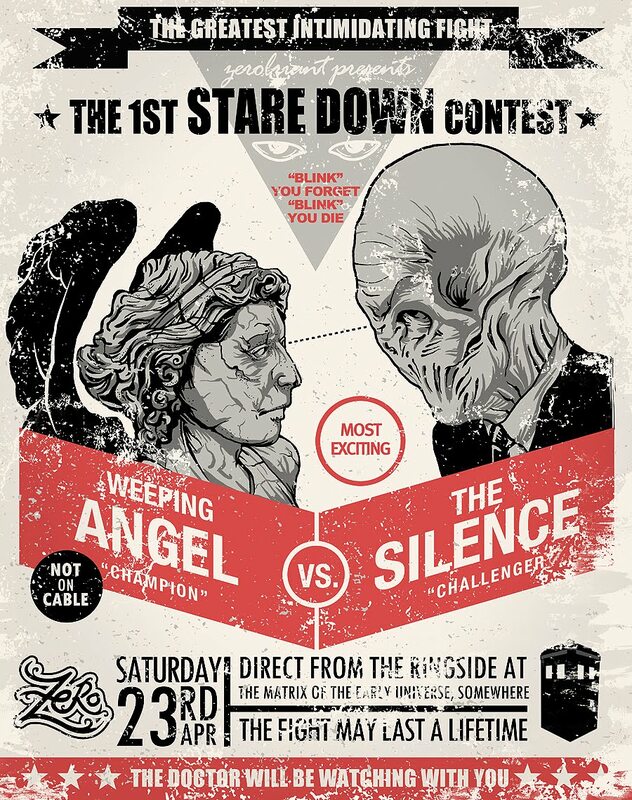 Pitting recent villains from British's longstanding popular sci-fi TV series, Doctor Who against each other, the t-shirt was designed by zerobriant, and was put on sale at teefury.com earlier last week. 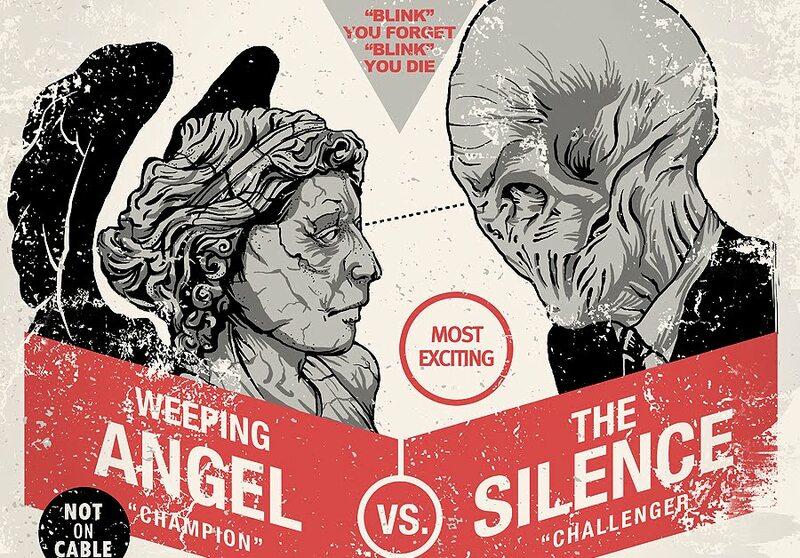 Featuring both brilliant villains created by current show-runner Steven Moffat, the t-shirt featured The Silence taking on The Weeping Angels in a "be all end all" stare down contest. Fans of the series would understand the "'Blink' you forget, 'Blink' you die" tagline on the shirt.